HA NOI (VNS) — A greater number of investors participated in the equity auctions held on the Ha Noi Stock Exchange in April, the northern bourse reported. 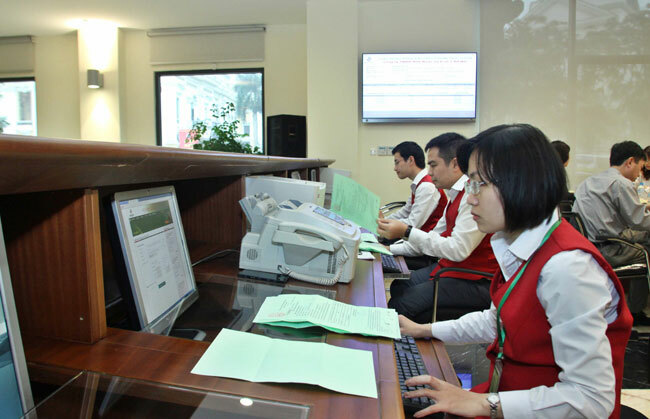 Five auctions were organized on the Ha Noi Stock Exchange in April, including three initial public offerings (IPOs) of State-owned enterprises, one auction of share purchase rights, and one share offering in the form of direct negotiation with investors present at the auction. The exchange reported an increase in the number of participants, with an average of 103 investors per auction, a rise of more than 39 per cent, as compared to March. As many as 310 million shares were offered for sale, of which 24.1 million were sold out, bringing in a turnover of VND241.8 billion (US$11.2 million). The auction of more than 5 million share purchase rights of Tran Phu Electric Mechanical Joint Stock Company, owned by the Ha Noi People's Committee, was the most successful, with the bid volume being 7.4 times higher than the offering rights. A few investors registered to purchase at a price of VND90,000 ($4.17), which was 5.2 times higher than the starting price. All the rights were sold, earning the Ha Noi People's Committee VND298.5 billion ($13.8 million). Moreover, of the three IPOs, the equity auction of the Infrastructure Development and Construction Corporation (Licogi) of the Ministry of Construction saw the highest results, with the entire offering being sold to 106 individual investors. It brought in more than VND212.8 billion (nearly $10 million), higher than the expectation of VND126.7 billion (almost $6 million). Of note, auctions of equity of those companies under the Viet Nam National Coal Mineral Industries Group (Vinacomin) witnessed poor results. Vinacomin Power Holding Corporation sold only 1.2 million shares of a total offering of nearly 236.4 million shares, while Vinacomin Minerals Holding Corporation sold just 1.3 million shares of the 46.7 million shares up for sale. The sale of shares of Cam Ranh Port Limited Liability Company saw only one participating investor, selling just 307,000 shares of the total offering of 5.69 million shares.